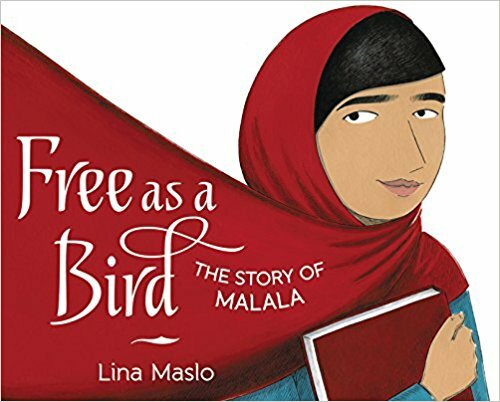 Lina Maslo is the author and illustrator of the new children's picture book Free as a Bird: The Story of Malala. Maslo lives in South Carolina. Q: Why did you decide to write and illustrate this picture book about Malala Yousafzai? A: I read Malala Yousafzai’s autobiography and was touched by her beautiful story. So I went on to read all the books and articles I could find on her, and to watch the documentaries. At that time, I felt that the existing picture books about Malala didn’t touch on some aspects of her life I thought were important: the encouragement she received from her parents, and the power that words had in her life. Q: What age group do you think would especially appreciate the book, and how did you decide to portray her life to younger readers? A: As most picture book authors do, I hope that this book will appeal to all ages! I also use a lot of metaphor in the book, which older children like to explore. And I think children of all ages can appreciate Malala’s courage in the face of adversity. Q: Did you focus first on the story or on the illustrations (or did you work on them simultaneously)? I’m constantly going back and forth between writing and drawing and thumb-nailing and book-dummying. So, the answer is, I worked on the art and story simultaneously. Q: What do you hope kids take away from Malala’s story? A: That there is power in their words and actions, even at a young age! And I hope that they realize what a great privilege they have in being able to go to school and have an education, even though it isn’t always fun. A: I think I’m allowed to say this… I’m working on my next picture book biography: it’s about C.S. Lewis, and how his childhood and life led him to write The Chronicles of Narnia. I’m pretty excited about this one! A: I hope that others are as inspired as I was after reading Malala’s story! 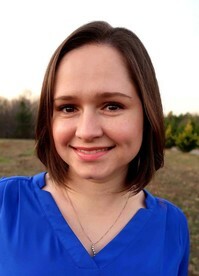 You can find me at www.linamaslo.com and on Twitter @linamaslo.